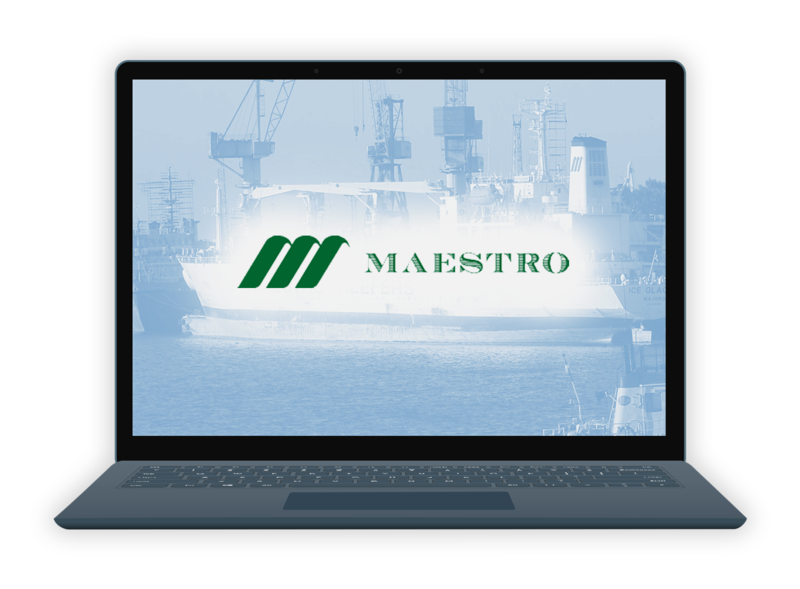 "The ability to analyse information over months and within years, combined with data security and accuracy, is just one of the fundamental aspects of EiB Analytics which has made the solution so invaluable to our business"
The Maestro Group is a privately held company with activity in the Bulk, Reefer, RO/RO and Ship Management segments. The Group has offices in Australia, Cyprus, Denmark and Switzerland. Before EiB Analytics, Maestro’s financial reporting required lots of data manipulation and validation processes. 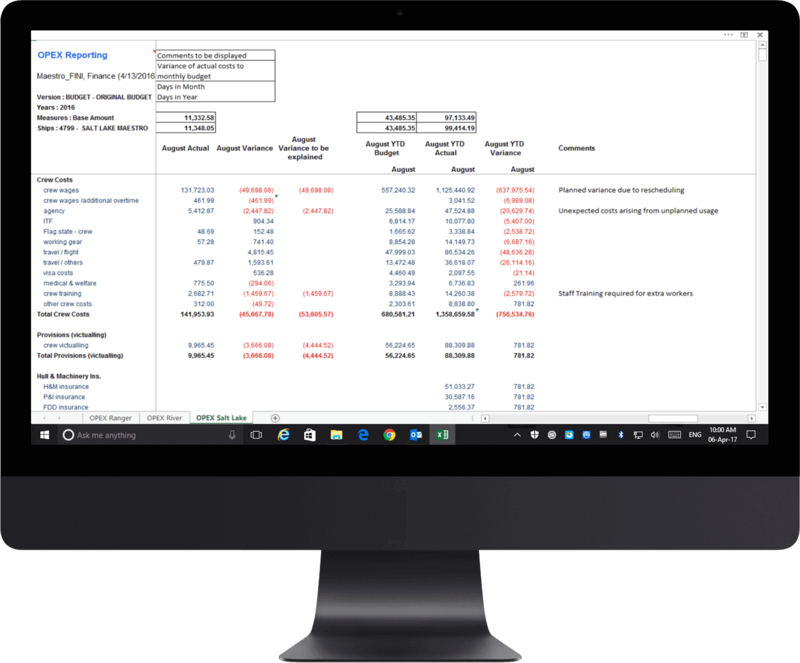 Excel spreadsheets were produced manually from ShipNet data for 12 Vessels and formats and calculations reapplied each period. Final journal adjustments in ShipNet meant much of the processing was completed multiple times, causing delays in completing month end. Maestro has business processes in place, where variances over a certain amount and /or percentage need to be explained through management commentary, but these comments were cut & pasted once again manually, with risks of inaccuracy. “Maestro needed an application that would automate this entire process and give us confidence in our numbers without painful manual checks being required. We had to deploy these reports across users in different countries and those users require different data security permissions, so it was fundamentally important that EiB Analytics could have multiple views of the same base data, so we didn’t need to develop different reports for each user, causing additional workload”. 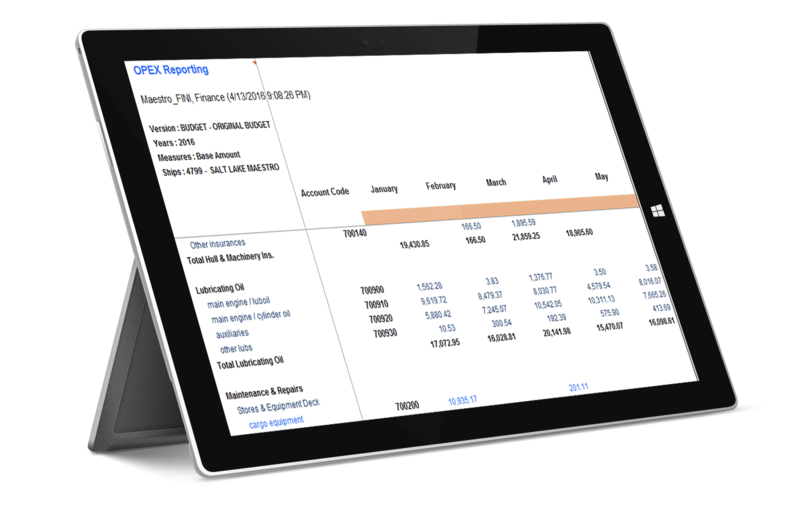 “With EiB Analytics, our users can now get information themselves and have variances highlighted which require their comments.We have automated our key Opex reports as a starting point, but will then widen the usage to other areas.Some of our time series reports are quite complex, as Maestro wishes to see full monthly trends coupled with frozen in month and YTD variances for any selected period. “Maestro can easily add users with appropriate security levels and users can add / store their own commentary against any explained variances. Furthermore, our users can now get information at the level they require, with drill-down and drill through to the transactions in ShipNet”.